1) 3 in 1 function: keyboard, mouse and touchpad. 2) Backlit for operation in dark room. 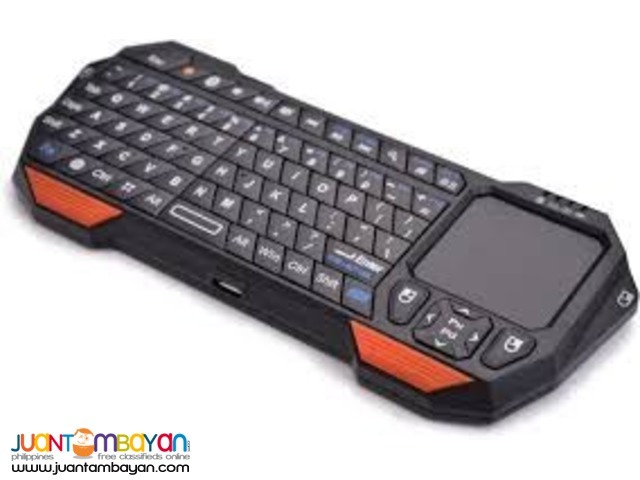 3) Real QWERTY full function mini keyboard. 4) Real touchpad: ultra sensitive and multi-touch. 5) Short charge time: about 2 hours can fully charge the battery. 6) Unique page up and page down key for convenient presentation. 7) Built-in re-chargeable Lithium-ion battery which supports long time working. 8) Bluetooth connection makes you enjoy wide range wireless control. 9) The LED indicators are designed for signal of pairing status, battery indicator, caps lock status, etc.